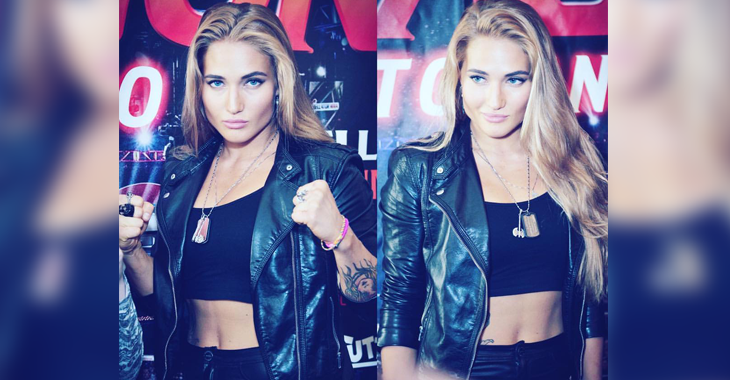 Up-and-coming Bellator standout Anastasia Yankova has the sexual attention of a fellow female fighter as well as throngs of online ‘weirdos’, all of which both bemuses and bewilders the Russian flyweight. Yankova, (3-0), was the object of affection from fellow Bellator woman’s flyweight Ilima MacFarlane in an interview MacFarlane gave in July, and now appears to be attracting some bizarre attention from Russia to the U.S. as well. The beautiful 25-year-old Russian fighter responded to MacFarlane’s unusual comments about her as well. Yankova is set to take on Veta Arteaga at Bellator 161 in Texas on Friday. Are you interested in a Yankova vs MacFarlane fight in Bellator? Sound off in the comments section, PENN Nation!